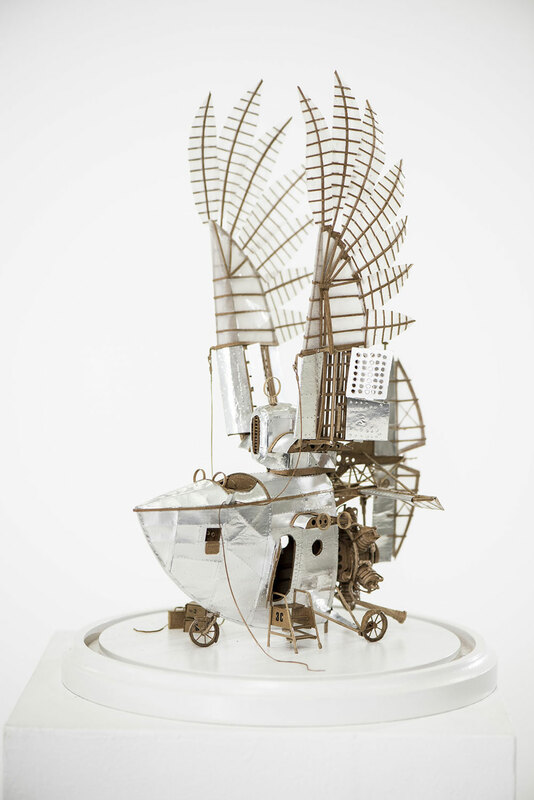 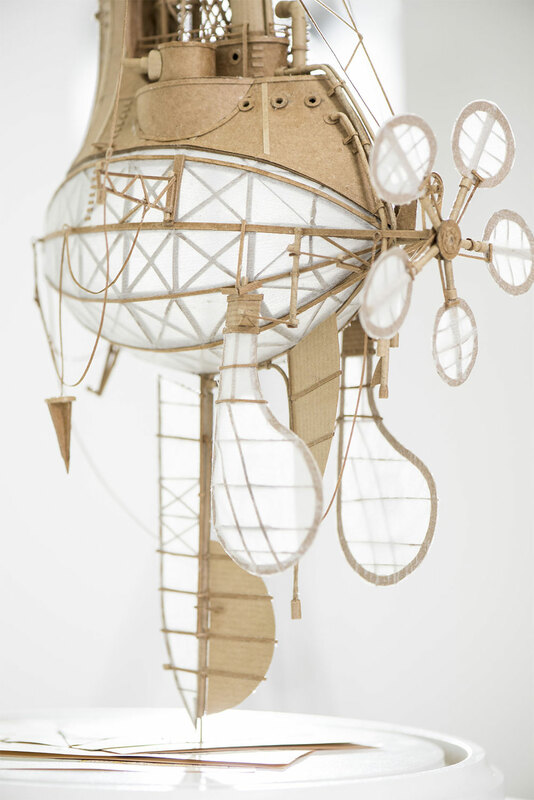 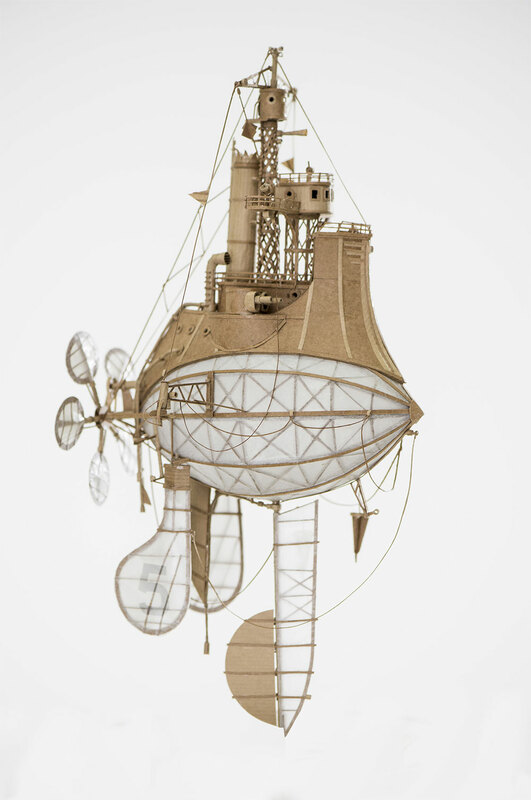 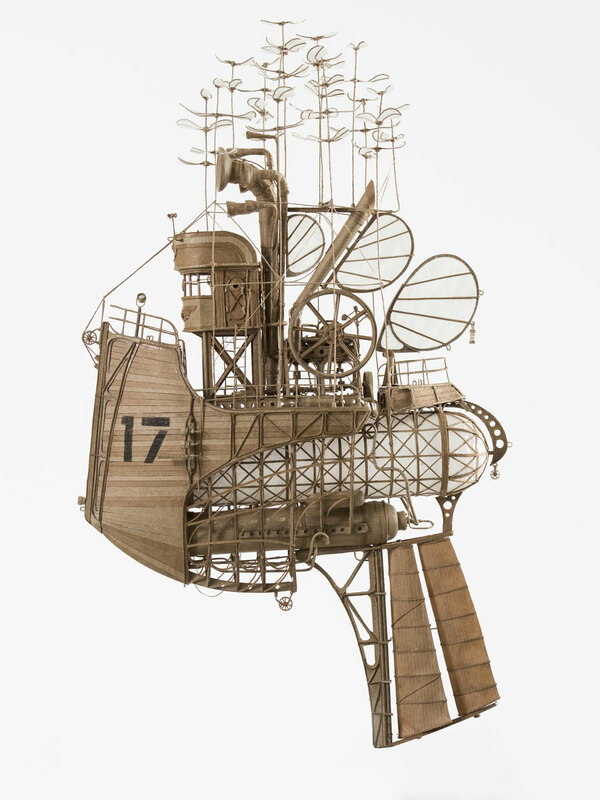 The Netherland-based artist Jeroen van Kesteren design beautiful imaginary airships. 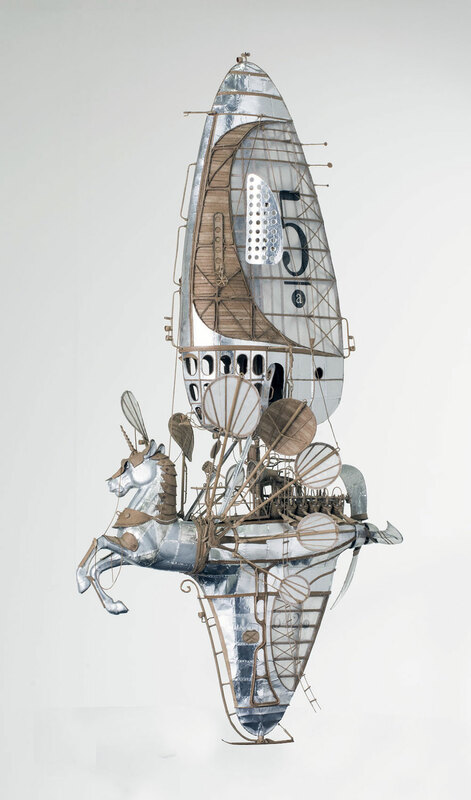 A serie of sculptures grouped under the name Orphanage for Lost Adventures. 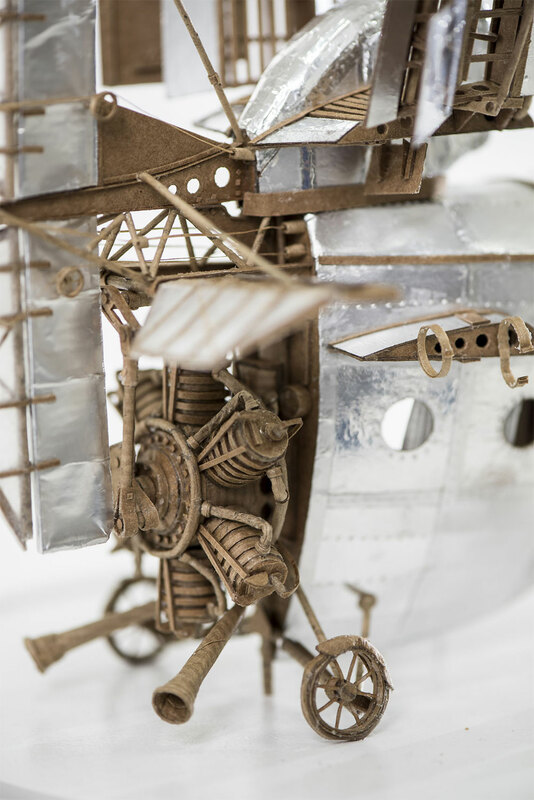 Influenced by the steampunk spirit, he works during few months on each creation. 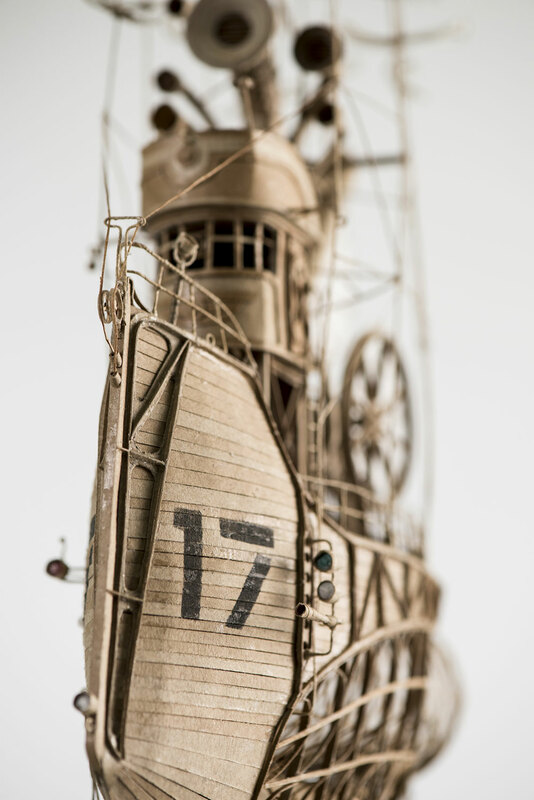 Each sculpture measure between 40 and 50 centimeters. 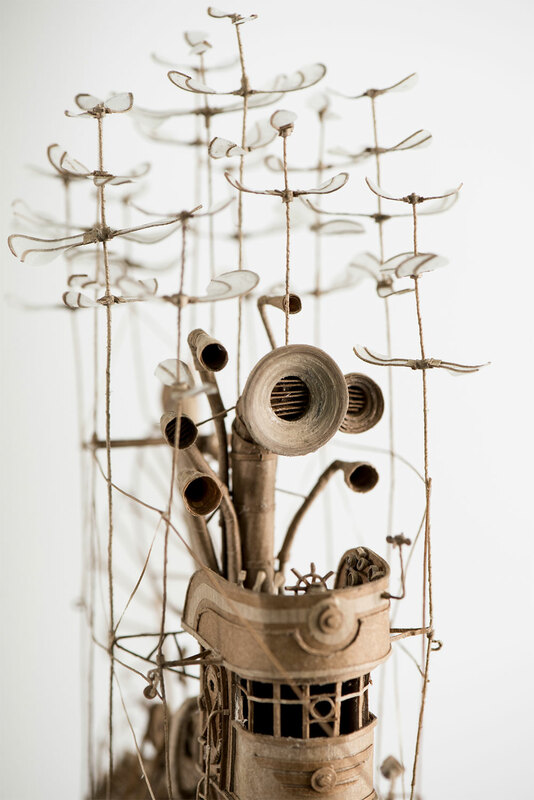 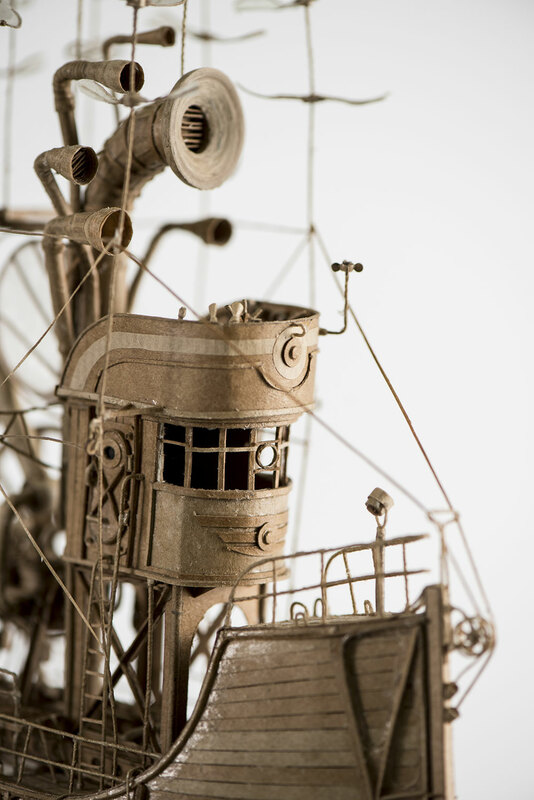 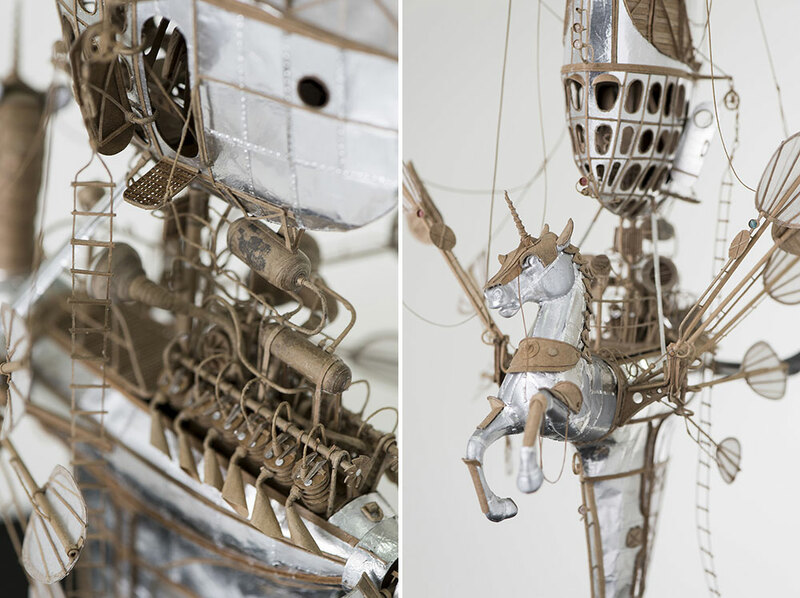 They are made of cardboard, aluminium and various textured papers for sails.